I’ve talked about this in the past and will likely talk about it again in the future, because it is a subject that is near to my heart. We often talk about heritage and legacy. For centuries past we have been a world that has lived in close proximity as families and as communities. We were able to walk from our homes to the homes of other family members. Speaking from my personal family history, my parents with their siblings and their parents, with few exceptions, lived in close geographic proximity. Uncles, and aunts and cousins lived across the street from our house. In fact, at one point, our family shared a house with my father’s sister and her family. I know from talking with friends, that our experience was not unique. Neighborhoods even in New York City were filled with family networks throughout the neighborhoods. This level of living in proximity facilitated the passing down of family traditions, customs, and generational values that most often were and are interlaced with values of faith, or lack thereof. We sing a song titled “Faith of our Fathers” which talks of that faith living still, and our children dying for that faith. The concept of which we sing is that of passing our faith and system of truth along to the next generation. It is indeed one generation’s gift to the next. In the sixth chapter of the book of Deuteronomy, Moses says that this is the commandment that the Lord your God commanded me to teach you … that you may fear the Lord your God, you and your son and your son’s son … that your days may be long. He goes on to write, “Hear, O Israel: The Lord our God, the Lord is one. You shall love the Lord your God with all your heart and with all your soul and with all your might. And these words that I command you today shall be on your heart. 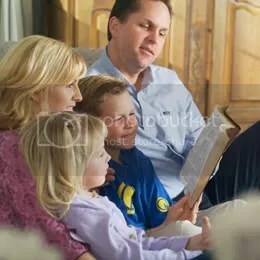 You shall teach them diligently to your children, and talk of them when you sit in your house, and when you walk by the way, and when you lie down, and when you rise … You shall write them on the doorposts of your house and on your gates.” In other words, show the next generations, first of all, your faith in God, and because of that how they should live. Pass these values along at every opportunity when you are with your children whether in the house or at play or walking along the path as you work. In our world, proximity is a rare commodity. Our families are spread across hundreds and thousands of miles. Passing along these generational gifts becomes more challenging but technology gives us many opportunities to cross the miles to influence the next generations. This blog is an example of that. It will be left behind for my children and grandchildren to read and reflect on the words recorded here. I have the opportunity to talk about God’s word across the miles and into the future for the generations that I may never meet until we see each other in heaven. In many cases, we awaken to the faith long after our children have left our homes and have settled in other parts of our world. We ought not to live in regret, but rather in thankfulness that we have awakened to the need for influencing the next generations. Galatians 6:10 provides this counsel, “And let us not grow weary of doing good for in due season we will reap, if we do not give up.” And again in Ephesians 5:15-16 Paul tells us that regardless of where we find ourselves, “Look carefully then how you walk, not as unwise, but as wise, making the best use of the time, because the days are evil.” So, as an encouragement, at such a point in time when we awaken to God’s call on our lives, we have the opportunity to begin walking as wise people, sharing the wisdom of God’s truths with our children, so that they too will be able to see the love that God has for them. We all love to give good gifts to our children. What greater gift can one give to the generations that follow but to create an environment that holds the opportunity for that generation to take hold of the faith that is to love and know the Lord our God, which is indeed an eternal gift. The choice is their’s whether they accept the gift or not. Our opportunity is to extend to them graciously and lovingly the gift that we have received from our Father in heaven. Can there be a better time to give such a gift but during this time when we celebrate Jesus, God Himself coming to earth as a baby? Let’s make the most of every opportunity, and let God do the work that He has promised He will do. Set the table, my friends.